Recently Stephen Mann one of the NPC Technician’s made British Homing World Magazine news. Stephen successfully ensured that a racing pigeon was repatriated with its owner, Mr Malcolm Greenwood of Selby, North Yorkshire. 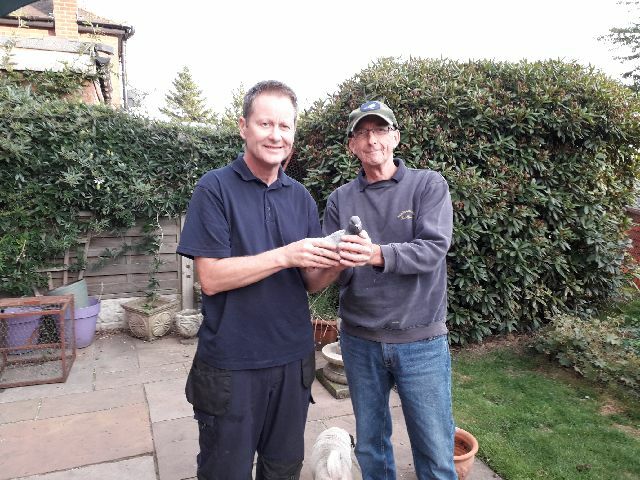 On meeting Stephen, Mr Greenwood explained that this year alone he had lost 30 pigeons and that Stephen was the first person to notify him that a bird had been found. The bird in question was in training and had been released in the Leicester area and was flying back to Selby. However, Stephen caught the pigeon in West Bridgford, Nottinghamshire. Malcolm explained that he had been racing pigeons since 1983, and how very grateful he was to be reunited with this pigeon. 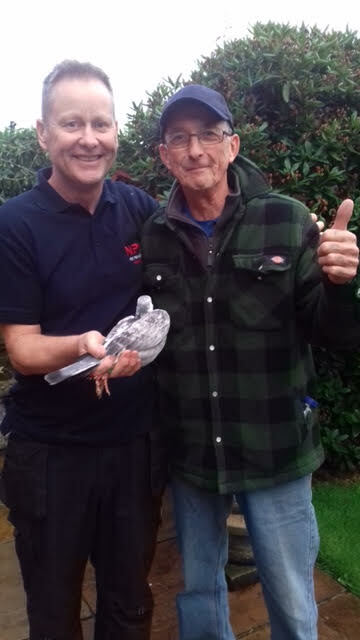 Malcolm also took time to thank Stephen for caring for this young pigeon, explaining to British Homing World Magazine that Stephen could not have been kinder or showed greater interest in the pigeon’s welfare. What actually caused the young bird to fly off course, is unknown. Possibly the elements or an attack by a hawk. Mysterious losses have also been blamed on recent changes in the earth’s magnetic field due to solar storms and it has been suggested that this has affected many pigeons’ and their ability to find their way home. Pigeon losses have occurred in large numbers during races in South Africa, the US and in Sweden. However, on this occasion one young bird found its way home to race another day. The story of this racing pigeon being reunited with its owner serves as a reminder that pest prevention is a responsible and professional occupation. The NPC Technicians are fully trained professionals who take pride in their work. However, the story did not end there. Having rescued this young pigeon and reuniting it with its owner. Stephen went on a few days later to rescue another pigeon. In what must be a million to one coincidence the second pigeon also belonged to the same owner! Needless to say Malcolm Greenwood was extremely grateful and both pigeons are now safely home in Selby. Whilst the pigeons in question were racing pigeons and reunited with their owner. Feral pigeons are considered a nuisance with their ability to create large amounts of excrement (guano), carrying diseases and damaging property and crops. Therefore, NPC Pest Prevention Solutions offer comprehensive services to deal with feral pigeon infestations, as part of this comprehensive service providing the full range of proofing work, including, spiking and netting.